Atlantic Racquet Centre is proud to have a vibrant and experienced team of coaches to manage and deliver our high quality programme of coaching, tournaments and club events. The charity trustees have a wide range of business and professional experience between them and are working hard with the project team to bring the new facilities to a successful completion and a sustainable long term future. Tom is a life-long member of the club and current A team player, with 11 years coaching experience working with players of all standards in clubs from Falmouth to Bristol. Since becoming Head Coach in September 2015 he has overseen a huge expansion of the coaching programme from 54 to 305 weekly participants. Lottie is a life-long member of the club and is a current A team captain. Her expertise lies in our ever growing Mini Red programme and schools outreach programme. She joined the full-time team in July 2017 and leads on our disability and competition programmes. Tom has played tennis since age 6. Having come up through the high level performance programme at Tarka Tennis Centre in Barnstaple, Tom joins the team as our trainee club coach. His first year with us will see him complete both his LTA Level 2 and Level 3 coaching qualfications. Marian is a former county player and has been a member of the club for the past 35 years. She has recently returned to coaching after a break and assists the team on a part time basis whilst also volunteering at the centre as membership secretary and a tournament referee. Steve moved to the area from Hertfordshire in 2015 after early retirement. He still represents Herts in veteran's county cup and has been a practising level 3 coach for almost 10 years. We're delighted to welcome such an experienced player and coach to our exciting team. I am the Ladies Tennis Club Captain & have served on the committee for over 8 years. I was a Police Officer with Thames Valley Police for 6 years. I worked as a Payroll/Accounts Clerk for 19 years following my Police service. I have been married to Martin for 35 years & we have 2 children Paul (33 yrs old) & Emma (30 yrs old). I played & captained Bucks County Badminton First Team for many years. Mark is a local GP and many of the Torridge community come through his surgery door on a daily basis. He has a keen and vested interest in seeing sport being easily available for the local population, helping to enhance both their psychological well being and the obvious physical benefits from regular weekly exercise. Heidi's family come from Devon and Cornwall and while she has spent many years teaching in schools in London and the South East she is thrilled to be living and working in North Devon once again, representing the Atlantic Coast Co-operative Trust on the ARC Board. Her headship at Instow Community Primary School seeks to promote enjoyable activities for young people of all abilities, including racquet sports and their staff and families enjoy a close working relationship with everyone at ARC. A qualified electrician by trade, Neil has worked within the industry for over 35 years gaining experience within the mechanical industry along the way. He has worked his way up from being on the tools to company director and is currently working for a company that delivers a full facilities maintenance package, predominately to the MOD. Neil brings vital skills to the team. Mary 's leisure career has taken her into the local authority leisure and the private country club sector , giving a wealth of experience in all aspects of leisure and cultural management . 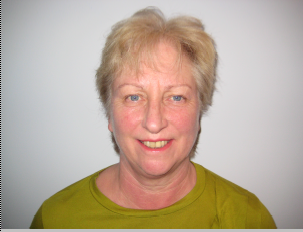 Mary has operated as a freelance project manager for many years and recently enjoyed a five year contract with Devon County Council delivering a range of extended and after school services to local schools in the Bideford area. After a 30 year career with Thames Valley Police, Martin retired as a superintendent in the role of head of criminal justice. A civilian role followed as a programme and project manager involved in national and force wide IT projects. He has been involved in a number of community initiatives throughout his career. A qualified management accountant working mainly for a range of small businesses for 27 years, Sarah was also a volunteer at Citizens Advice Bureau for eight years. Well aware of the limited employment and recreational opportunities within Torridge, she is keen for local people of all ages, backgrounds and sporting abilities to have easy access to affordable sports and leisure facilities. Anoushka is a chartered accountant & tax advisor. Though not actively coaching she is also an LTA qualified coach and is really driven to increase the participation of women in sport. She enjoys the social aspects of sport and the break it gives from her young family. Keen to ensure ARC develops initiatives directed at women, she was actively involved in achieving grant funding under the Sportivate scheme through a programme aimed at teenage girls. Dave has taken early retirement as a senior manager of Mole Valley Farmers Ltd. Outside his professional life his two great passions are education & well being of children, and the sport of tennis. He is Vice Chairperson of two federated schools with special responsibility for teaching and learning, and a governor at a third school. A qualified and licensed LTA referee, he is now one of the thirty eight Councillors for the LTA, the sports’ national governing body. CEO of The Northam Care Trust working in supporting people with learning and physical disabilities and developing health and wellbeing services in N Devon including new community projects. Former Director of Mencap in London, Len has worked in the UK, Europe and South America in social care, health, education and housing developments. He has 40 years experience as a practitioner, senior manager and leader and is delighted to be able to make a contribution to ARC on behalf of the Northam Care Trust. His commitment to improving services for people with learning disabilities and those with mental health problems still drives his work.